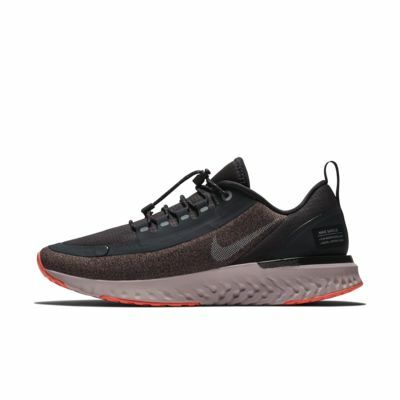 Nike Odyssey React Shield Water-Repellent er blevet remixet til at kunne klare våde løberuter. En vandafvisende overdel kombineres med en ydersål, der giver optimalt greb på våde overflader, så du kan løbe med selvtillidhed uanset vejret. BLØDT, JÆVNT LØB I AL SLAGS VEJR. Maskinstrikket materiale er slidstærkt og let. Specialgummi under forfoden og hælen giver optimalt greb på våde underlag. Overall great shoes, easy to get on and off and great support. It does run very small – i'm usually 5-5.5 but a 6 would just fit and not much room for socks. Just ran in a half marathon in theses in Central Park in the pouring rain and my feet were the only dry things left! Loved them ?? My regular shoe size is an 8/8.5...I buy my running shoes in a size 9. These fit pretty true to size. 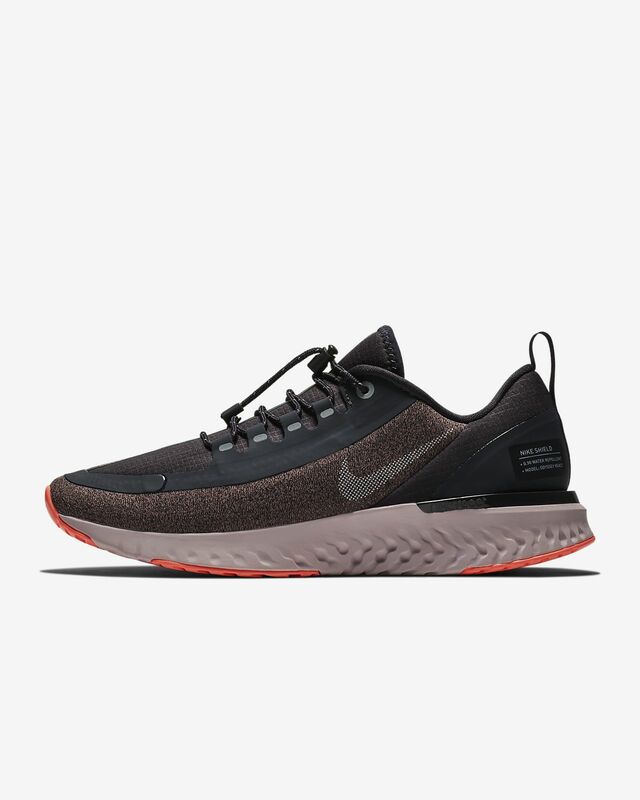 I have a little more room in these than the Epic Reacts in a size 9 but still a great fit! Great shoe - the soles offer great cushion and rebound, yet the shoe overall feels light. I've used it for spadework and for distance runs and it has performed well for both. It's a little light on support compared to old Odyssey models, but I prefer it that way. Only complaint is that the shoe is at least a half size smaller than my other shoes - I should have sized up but unfortunately opted not to.